One hundred years ago in November WW1 ended – an event we have marked every year since, with acts of remembrance. And while school history and documentaries will teach us the dates, facts and figures, it is left to the arts to tell the more personal stories of war. 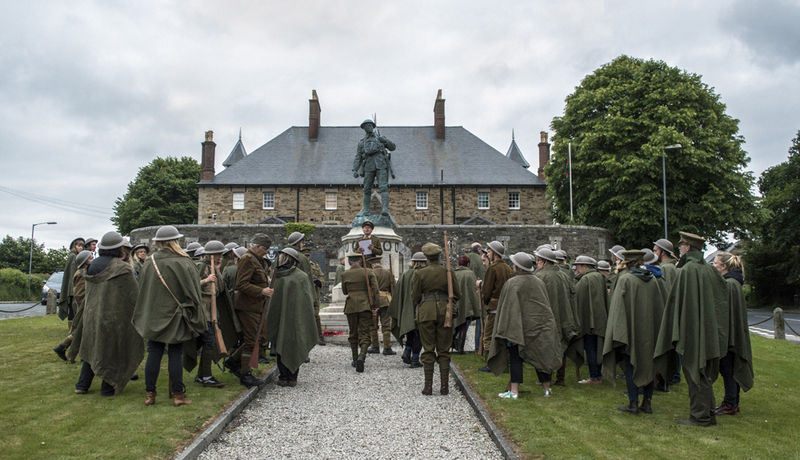 The Trench Bodmin does this brilliantly, making emotive connections between audience members and the real soldiers of the Duke of Cornwall’s Light Infantry, who departed from Bodmin to fight in this historic conflict. 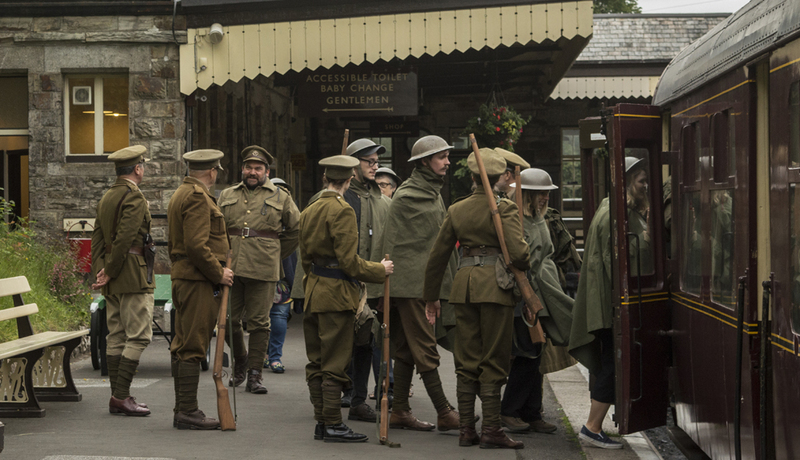 The Collective Arts production is run in partnership with Cornwall’s Regimental Museum and Bodmin & Wenford Steam Railway. Collective Arts is an acclaimed Cornish theatre company, known for its large-scale outdoor productions and as well as taking you on a physical journey, this immersive experience also sees the audience play an active role. 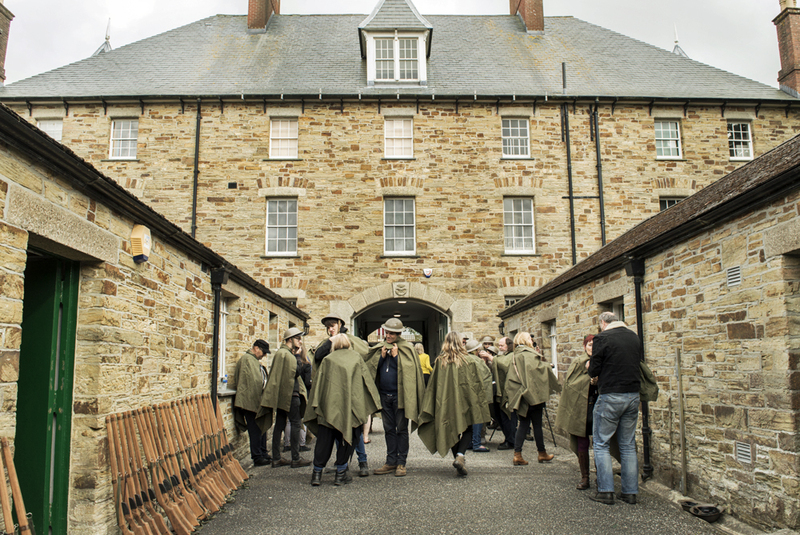 The journey begins at the museum/ Bodmin keep, where audience members ‘enlist’. You are given dog tags with the name of the soldier you will represent, a wax khaki cape, helmet and a little tin, containing paper and pencil to write your letter home. We were then lined up in our battalions (each containing a couple of actors) and marched to the railway and our ‘train to the front’. 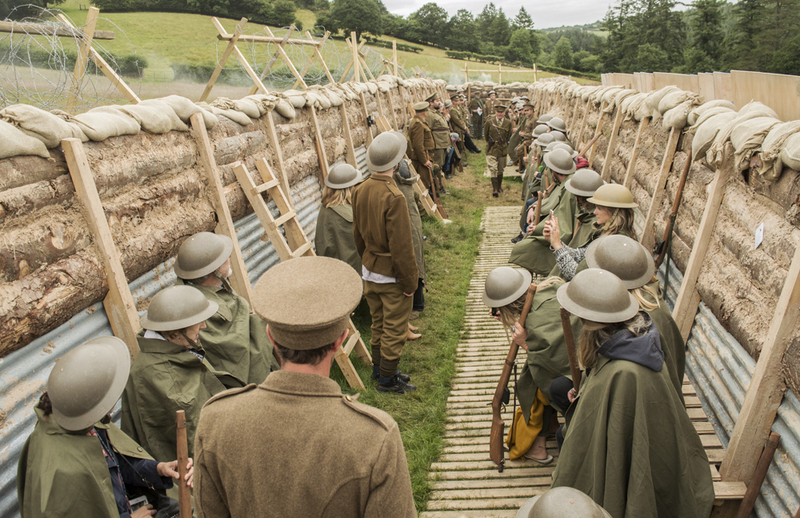 War songs and bravado were the theme on the train, which transported us to a replica trench in the middle of a grassy meadow on the Lanhydrock Estate. 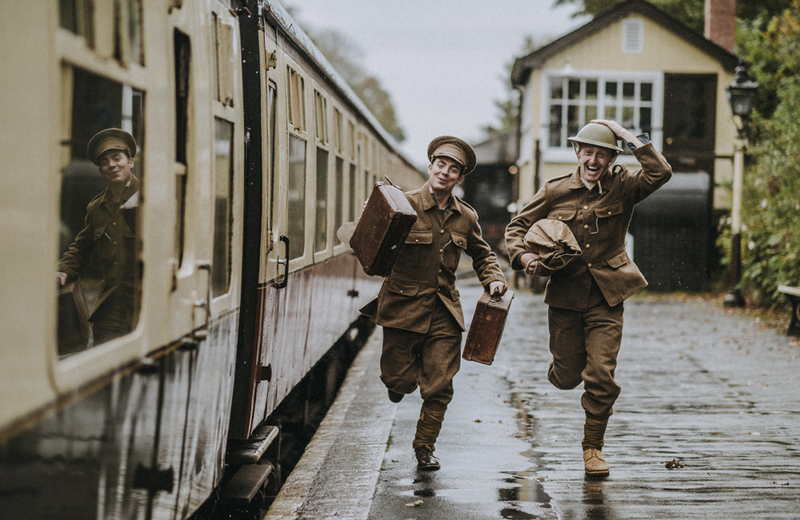 Railways actually played an important role in WW1 – the armistice itself was draw up and agreed in a train carriage – and the toots and puffs of the steam engine added authenticity and atmosphere. As we walked up the hill to the trench the genius of the capes became apparent, completely cloaking our modern clothes and making us all part of the story. You can expect the odd explosion and echo of gunfire in the trench, though you will not be personally required to go over the top. And as time goes on, somehow what began feeling a like Black Adder Goes Forth-style fun becomes increasingly poignant, as you emerge from the trench and walk the poppy-lined path to your return train. Back at the museum, we lined up to hear the fate of the men who’s dog tags we carried, then you could go into The Trench exhibition and peruse the personal histories of each of the soldiers. As I opened the file for Percival Collins of Newquay, for the first time, tears came to my eyes and I’ve thought of him many times since – which is whole the point, of course. I would highly recommend this production, which runs from 18 June – 15 July, with short plays before the main event on select evenings. If you have children of secondary school age, studying this period of history, I think it would be an especially valuable experience. 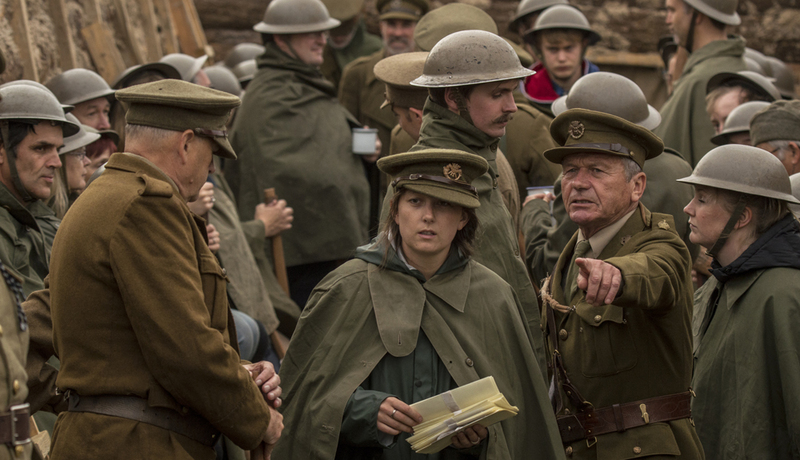 Wrap up warm for the trench part – is was a bit chilly at times and if you’ve missed dinner, be sure to grab a ration pack (£10). My commemorative bottle of Tribute and war cake went down a treat.